My Soul Is a Witness is a powerful collection of poetry, prose, reflections, prayer, and song celebrating spirituality in the lives of African-American women. 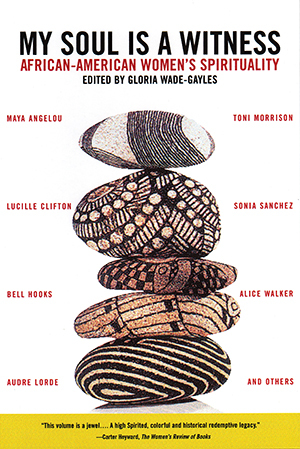 Featuring a variety of voices including Johnetta B. Cole, Marsye Conde, Rita Dove, Nikki Giovanni, Akasha (Gloria) Hull, Toni Morrison, Iyanla Vanzant, and Alice Walker, this collection demonstrates the diverse ways that women connect with the Spirit. Exploring faiths ranging from Islam to Buddhism to Christianity, these writings illustrate the importance of religion and spirituality in the women of the African-American community. No matter how the Spirit expresses itself in these women’s lives, their faith is experienced not just as individuals but also as an inheritance from the women in their community. This anthology will surely touch every sister of the Spirit.